Deadline says Marvel Studios is working hard to convince Disney to rehire Gunn, and are willing to make a few compromises in order to make that happen. It’s not clear what these compromises are, and if the strategy will work. But the decision to bring this to the table comes after the cast signed a joint letter asking the studio to rehire him. Additionally, other studios are reportedly very eager to work with the director. Also, Guardians star Dave Bautista laid down an ultimatum that if Disney did not use Gunn’s script for Vol. 3, he would walk out of the project altogether. Luckily, Disney and Marvel have confirmed that they will use Gunn’s script. The 11th-hour move is seen as a last-ditch effort to reinstate the former director. In fact, this may be the reason why we haven’t heard much from either studio about a possible replacement. Obviously, Gunn’s decade-old despicable jokes was the deciding factor that got him fired. But we have to remember that these tweets, as indefensible as they are, were made over a decade ago, and Gunn had apologized for them already. And many see the firing as a knee-jerk reaction. Still, resolving the matter is a very slippery slope – the issue of hypocrisy rears its ugly head. Again, no one is condoning his tweets, but Gunn has apologized for them and has not made any like them in recent years. No one is condoning these tweets. While they were made over a decade ago, they were made in an effort to be shockingly funny. 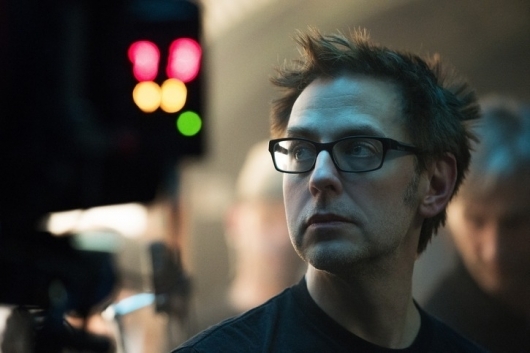 And while it may have been a different time, Gunn has apologized for them, repeatedly, throughout many interviews during the release of the first Guardians Of The Galaxy. But apparently, that wasn’t enough to absolve him of those tweets, which were unearthed by an ultra-conservative group as a hit job in retaliation to Gunn’s repeated attacks towards President Donald Trump. While a decision has yet to be made, Disney and Marvel would want to move on getting Guardians Of The Galaxy Vol. 3 into production soon as Chris Pratt‘s starring vehicle Cowboy Ninja Viking has been put on an indefinite production hiatus. But it remains to be seen if this last-ditch effort could work. There are some signs of hope, though. The aforementioned support from the cast, Bautista’s ultimatum, and the fact that competing studios are eager to work with Gunn are also signs that Disney is being backed into a corner. Still, Disney had every right to defend their family brand by firing Gunn. But at the same time, they would also be making a bold statement by rehiring him. This would show that they would not concede to an alt-right hit job. Or for better PR, that they are willing to forgive Gunn – have him go through some sort of sensitivity training – and admit that they had made a mistake. Of course, this is all just one man’s opinion. We will keep you posted on the news should any new developments come in.